DriveNow Car Radar Explained | Stop searching for a car! Do you have to go the airport tomorrow morning and there is no DriveNow in the area at the moment? Or are you slowly wrapping up the evening? 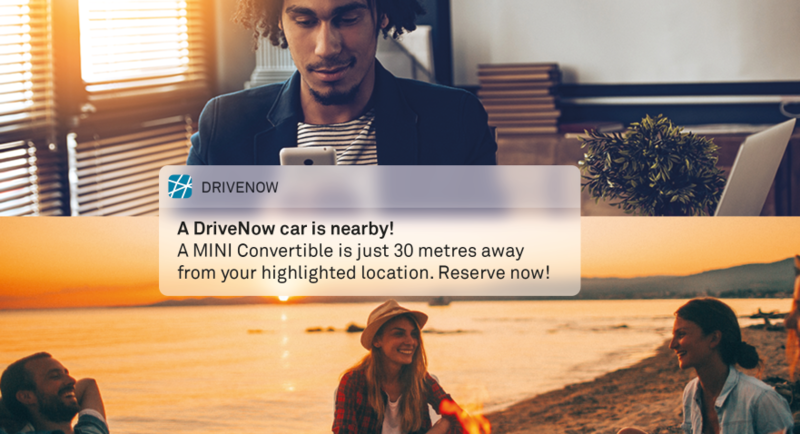 Simply turn on the car radar and the DriveNow app will continuously search until a car becomes available in your area. All you need to do is sit back and relax - we’ll let you know when your ride has arrived. Activate the car radar in the app when there is no BMW or MINI nearby. You will be able to set up a car radar immediately or up to 7 days in the future, this way you can always plan your trips accordingly. Once a car becomes available in the set area, a push notification will be sent to you, with all of the car's details. Once you reserve a car, the car radar will automatically be deactivated. Finding a car in your area has never been so easy! Did you also know that you can use the car filter while using the car radar so you can be notified when your preferred car is in the area?